I’m partnering with Walmart again for their We Dress America Campaign. 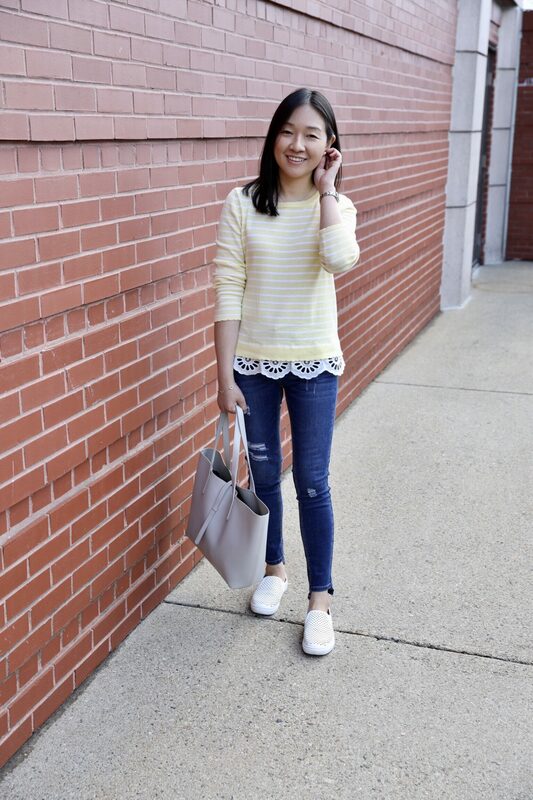 This striped sweater is available in four colors and it’s so adorable with the eyelet details and scalloped lace hem. 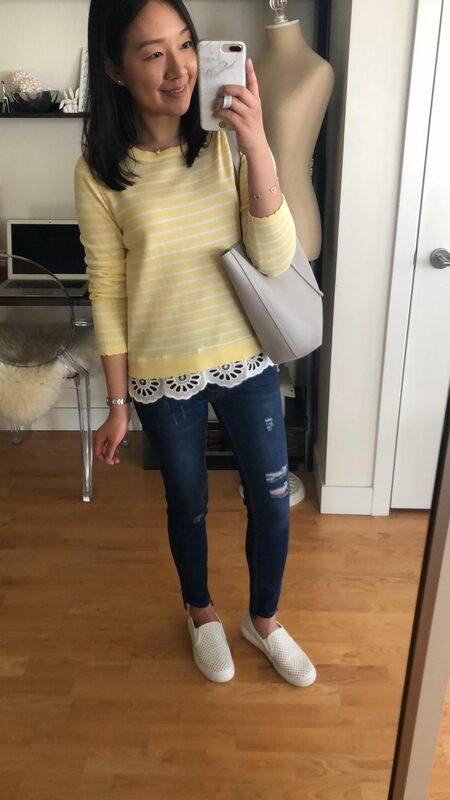 Sadly it’s still sweater weather here in New England but a cheery spring outfit helps to improve my mood. 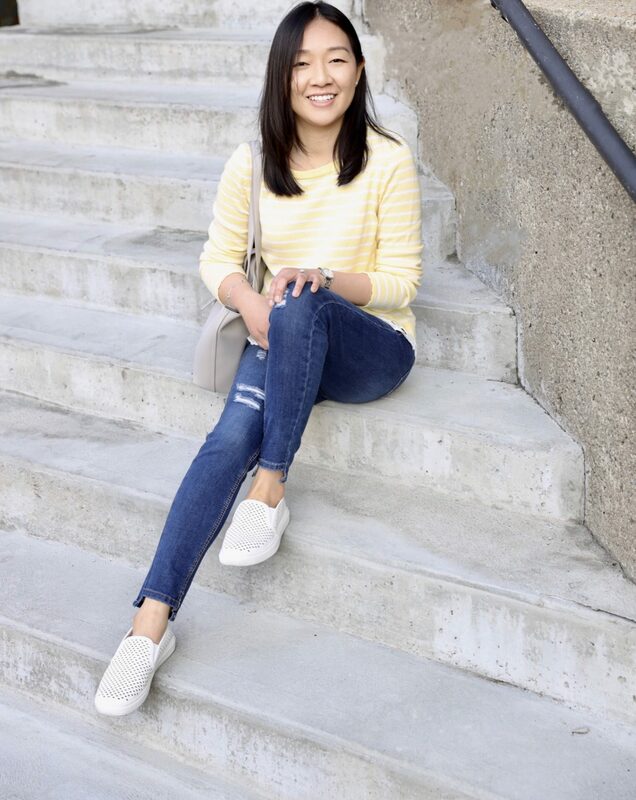 These distressed step hem jeans are a petite friendly inseam (I’m 5′ 2.5″) and I liked the dark wash best but I also liked these light wash jeans. These perforated flats are very comfortable with a memory foam footbed and it comes four color options. I loved this lightweight work tote so much that have it in light grey, mochaccino (light pink) and black and it’s also available in a mini size which I have yet to see in person. 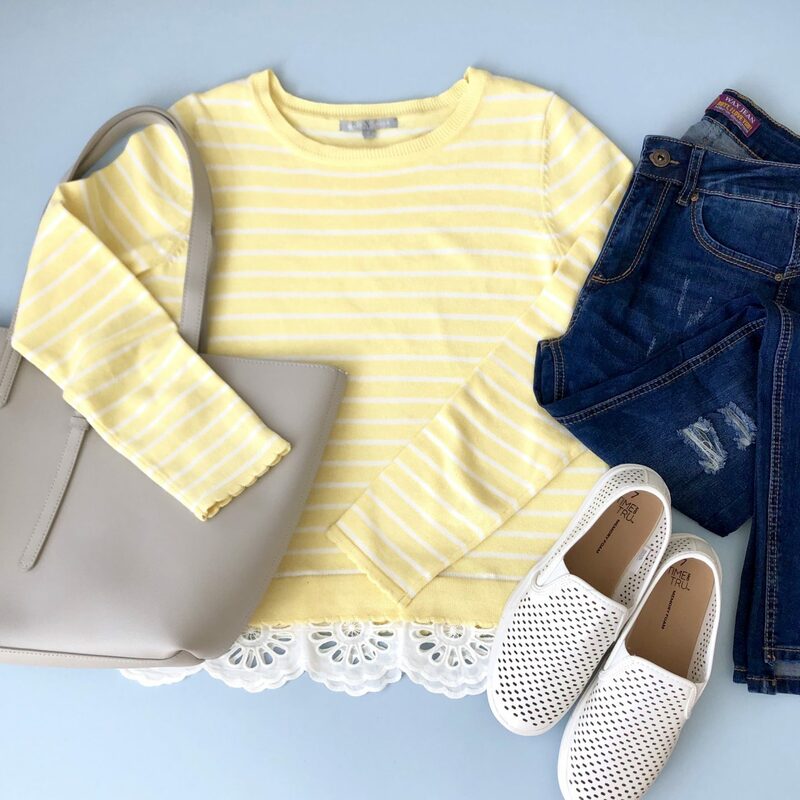 Shopping online at Walmart is easy when you can choose from everyday brands and premium brands and you can get free two day shipping on qualifying orders of $35+. My local Walmart also had a sign posted about accepting third-party mail returns. This post was sponsored by Walmart but all opinions are my own.